Work started on the rehabilitation of the State Sanatorium Covered Bridge in July 2008. The upgrades to this historic bridge include moving the structure 1 mile upstream to replace the tornado damaged Adams Covered Bridge. 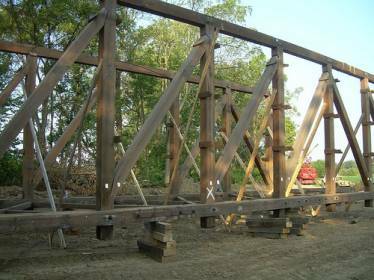 Other changes consist of a new roof and siding, improving the defective wood structure, and additional repairs needed to make the bridge safe. The $1.34 million project was completed October 2008.